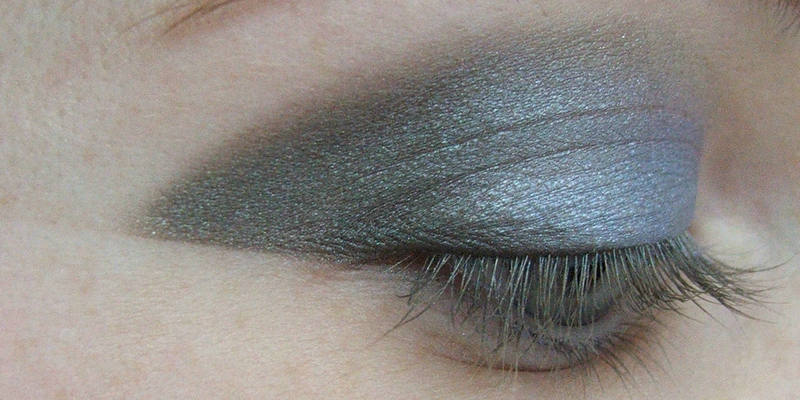 Start off by applying an eyeshadow base on your eyelids, lower lashline, brow bone and on the inner corners of your eyes. 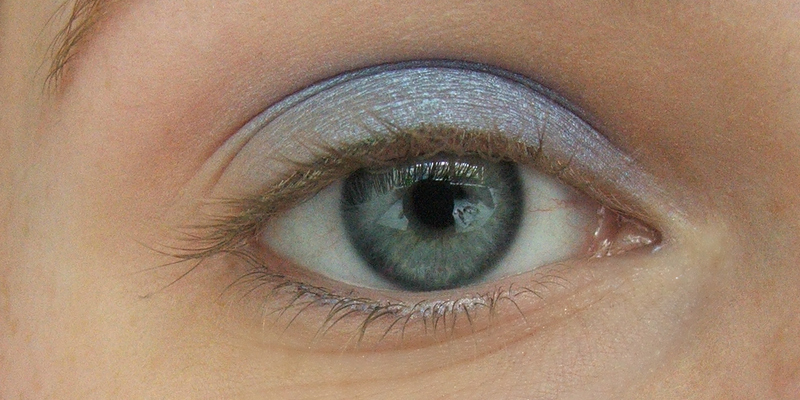 Then use a bright color, I used a metallic purple, and apply this on the inner 2/3 of your eyelid. Then take out some tape. 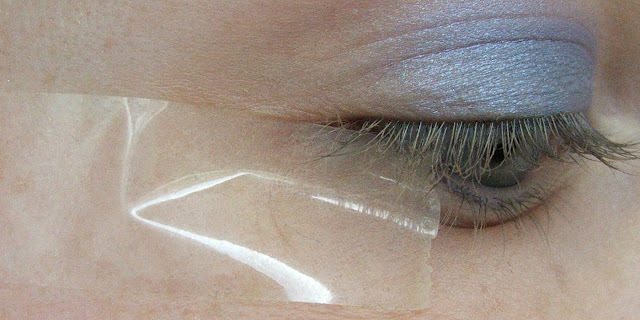 Don't put it directly on your face, tape it onto your hand first so it's less sticky. Then place it underneath your eye, pointing upwards. 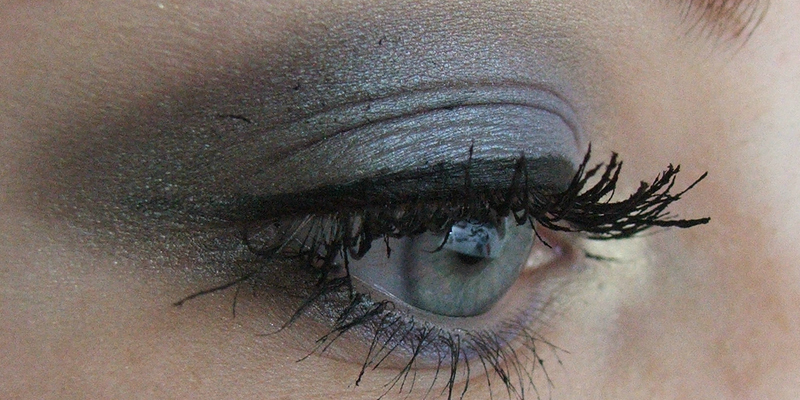 Now use a black metallic eyeshadow and smoke it out. 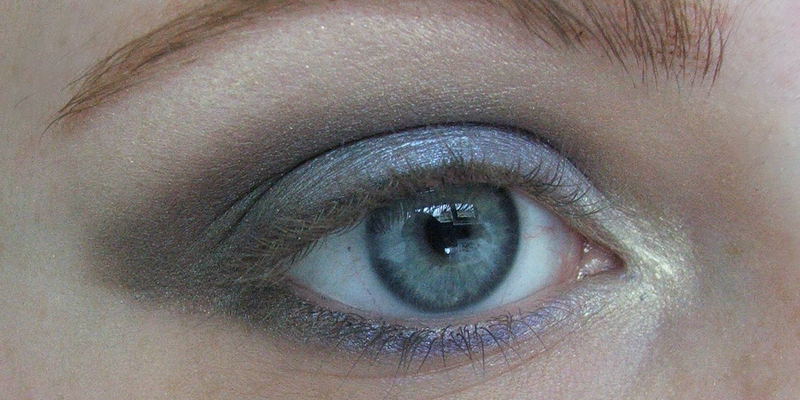 Also blend it in with the purple. Once you remove the tape you should be left over with a clean edge like this. Apply a light shimmery color on your brow bone and on the inner corner of your eye. 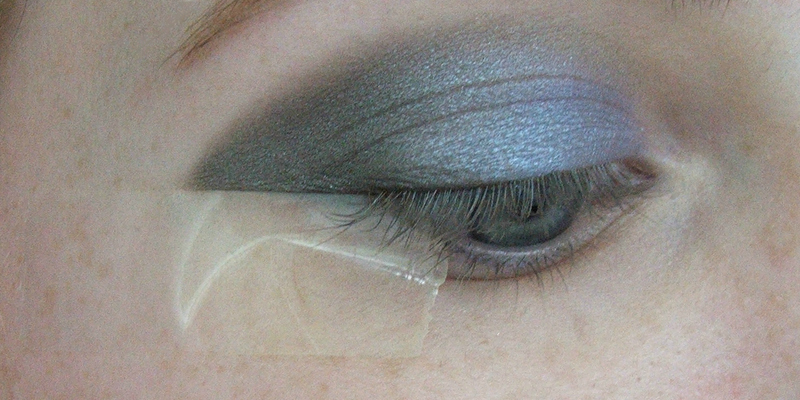 Also line your lower lashline with the same black color we used before about 1/3 in. Then use your purple color again and line the rest of your lower lashline and blending it in with the eyeshadow you applied on your inner corner previously. 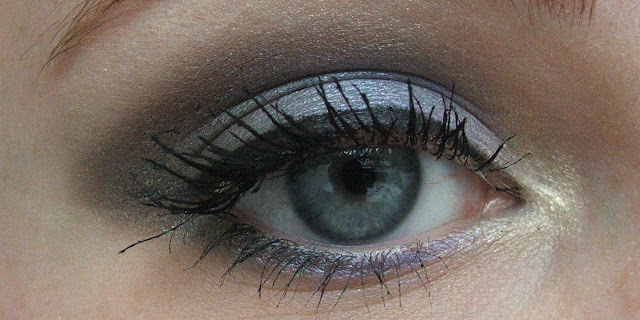 Finish off by applying black eyeliner on your upper lashline. Then curl your lashes and apply your favorite mascara! Wauw, die tip met het plakbandje is echt gaaf! Nog nooit zoiets gezien haha. Lijkt me trouwens wel een beetje pijnlijk lol. Aaah, foto tutorials zijn zo fijn! Gave look, ga dat plakbandje ook gebruiken. Ziet er mooi uit! En leuke blog! Opnieuw een heel mooie look!